Paris: The International Volleyball Federation (FIVB) announced the Volleyball Nations League, which is set to begin in 2018. 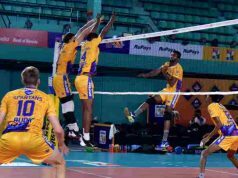 The league will revolutionise volleyball competitions, making it one of the most important events in the history of the sport. The Volleyball Nations League – a joint project between the FIVB, IMG and 21 national federations – will present volleyball in a way that has never been experienced before, building on the innovative sports presentation on display at the Rio 2016 Olympic Games. 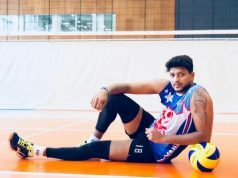 In both the men’s and women’s leagues, 12 core teams and 4 challenger teams will battle to become Volleyball Nations League champion by playing in a round robin format. With a total of 130 matches throughout the league season, every team will play a minimum of 15 matches and each core nation will host at least one pool, bringing the action closer to fans around the world. By pushing the boundaries of technology, innovation and digital broadcasting, spectators at home will witness new and diverse angles, showcasing the world class athleticism of each nation’s best players. For the very first time, the FIVB, in collaboration with IMG, will take complete control of content production, maximising quality and promoting a compelling, on-court narrative, which is easy for fans to engage with and understand. The FIVB will ensure in-stadium interaction by implementing a new concept called active engagement, where fans are involved in every rally. 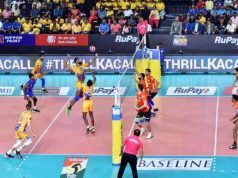 When there is a fantastic sporting moment, spectators celebrate it by imitating match situations like the Monster Block, which has already been embraced by fans across the globe. “This is a pivotal moment in the future of our sport. The Volleyball Nations League is the most important competition in the FIVB’s history and will revolutionise how volleyball is presented; making it more fan-centric and placing our fans, both inside and outside the stadium, at the very heart of the action. Ioris Francini, co-President of WME|IMG, said: “This is a very exciting development for the FIVB and we are delighted to play a pivotal role in the Volleyball Nations League. This unique initiative and format heralds a new era for the sport and will produce an even better experience for all concerned, from the teams and players to fans and viewers watching on various media platforms. In the men’s event, Brazil, Italy, the USA, China, Serbia, France, Argentina, Iran, Poland, Germany, Japan and Russia make up the core teams, while Australia, South Korea, Canada and Bulgaria are the four designated challenger teams. For the women’s competition, Brazil, Italy, the USA, China, Serbia, the Netherlands, Thailand, Turkey, South Korea, Germany, Japan and Russia comprise the 12 core nations. Argentina, the Dominican Republic, Poland and Belgium have also been selected as challenger teams. As well as the Volleyball Nations League, there will also be a secondary, Challenger League, incorporating promotion and relegation to guarantee that volleyball remains the most competitive and engaging, multi-gender sport in the world. More information on the logo, sponsors and venues will be unveiled in the near future.